It is easy to dismiss much of the Nintendo Switch’s library as secondhand indie games that we have been enjoying on Steam for a while. The charming, retro-tinged Golf Story changed this – not only is it a No. 1 smash on the eShop, it is also an envy-inducing Switch exclusive. If this underdog hit is giving you a case of FOMO, don’t panic just yet – there are fortunately other, even more irreverent, takes on the sport available on Steam. For now, let’s forget about all the serious golf simulators and focus instead on ball-based flights of fancy. The leftfield treats in this list take the basic premise of the game – get the ball in the hole – and use it as a jumping-off point to kick back and cut loose. 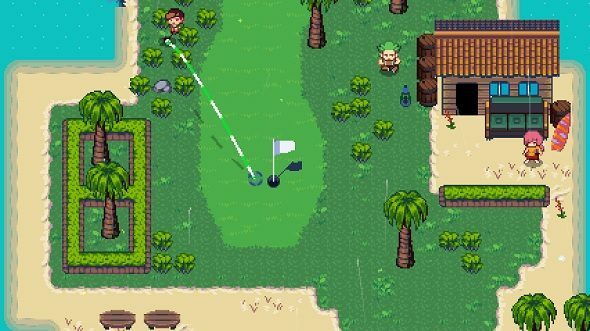 While the best parts of Golf Story are its witty writing and the hilarious gameplay tangents it goes off on, the golf side of things is actually pretty traditional. Different club types, wind speed, and terrain are all taken into account with each shot. That is not something you could say for Dangerous Golf, which, besides having a ball and a hole, cares little for tradition. When developers Three Fields Entertainment debuted their game, creative director Alex Ward said in an interview with Edge, “Golf is boring. Golfers are boring. 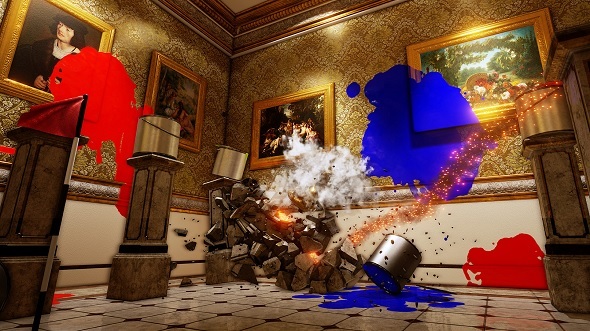 Golf games made for golfers are boring.” The team, made up of former Criterion devs who worked on the Burnout series, wanted to recreate the destruction-focused Crash mode of those games with the teeing off indoors replacing traffic and junctions as the catalyst for chaos. Instead of crossways and freeways, Dangerous Golf sparks mayhem in locations such as an antique-stuffed palace and a professional kitchen. The goal is simply to rack up the largest insurance claim possible. If that isn’t enough for you, there is even a feature called Smashbreaker, which puts the game’s (relatively) realistic physics to one side and lets you take control of a blazing fireball that causes even more damage upon impact. There’s still a hole to aim for after you ruined each interior – the golf comparison might have been a stretch otherwise – but let’s be honest: it is really not the focus. Played on a 2D plane, Giant Margarita’s spin on the sport is reminiscent of games such as Worms or Desert Golfing – the latter of which inspired studio founder Ian Lewis, who tells us he reached level 10,000 before leaving the clubs behind. 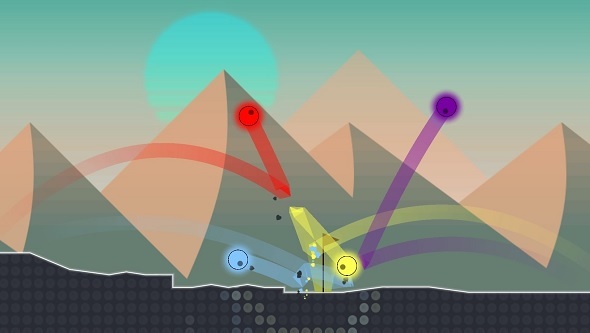 Intended for couch multiplayer sessions, Party Golf throws politely waiting your turn between strokes out the window, as players can whack their balls around as much as they like. It’s a riot when there are eight players rushing to sink their ball first. You can also knock each other’s balls out of the way, or use power-ups to increase the havoc – why play with something spherical when you can turn your ball into a brick or a piece of fruit, instead? Lewis admits that no-one in the team has actually ever played the sport properly themselves. “I’ve only ever played nine holes of real golf, and it wasn’t that ‘real’,” he says. “We did what’s known as the ‘one club challenge’ where you draw lots on who gets what Iron and you have to use only that club for the entire course – and you fill the golf buggy with alcohol instead.” That explains a lot. Providing the how and why in Pixeljam’s game are dozens of maze-like levels with moving walls and traps to deal with as you aim and hit your boop by dragging and releasing it like a slingshot. Oh, and it stars an AI called Susan who offers her own brand of surreal commentary – she even has her own Twitter account. OK, this one almost resembles actual golf – if golf involved whacking bits of fruit about, that is. It is also the only VR game on this list. It makes a lot of sense: the simple motion of swinging a club makes golfing an easy game to replicate with motion controls – Wii Sports did just fine with much lesser tech, after all. In line with Nintendo’s take on the sport, this effort from Canadian developers Coal Car Studio aims to make VR experiences more social. 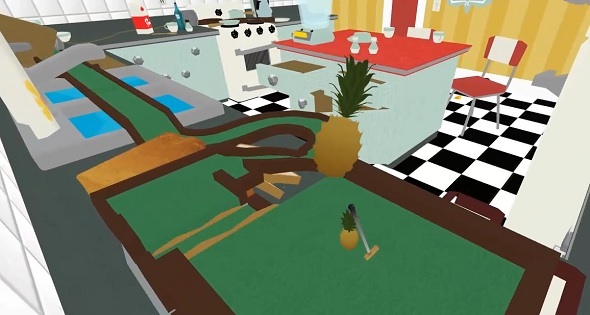 To that end, you can play Fruit Golf as a local multiplayer game, passing the increasingly grubby headset between friends while, presumably, hoping they don’t do anything cruel when it is your turn. Thankfully, other players can use their smartphones to keep an eye on the action, and to drop hazards and obstacles onto the courses. With any luck, it will prove enough of a distraction to keep any potential pranksters at bay. We will get to see whether this all comes together once the game is released for HTC Vive this autumn. Bringing us full circle is a game that is quite similar to Golf Story, given its 16-bit pretensions and hybrid of action-RPG and top-down golfing. 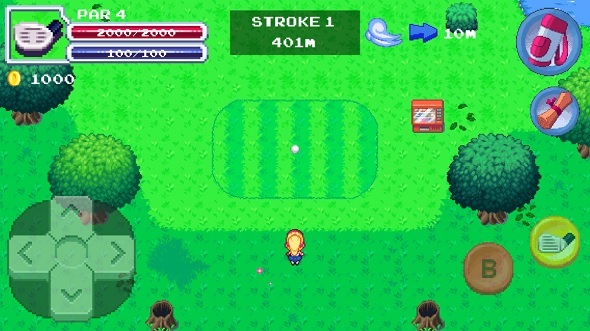 It is no clone: Osaka-based developer Riccardo Castelnuovo has been developing RPGolf since 2014, he assures us, and the game was crowdfunded in 2016. The plan now is to bring it to mobile later this year, with a Steam release to follow. Castelnuovo, believe it or not, even seems to like traditional golf. It has been a long time since he has played the sport for real, but his fondest memories come from the time in between strokes, when you slowly stroll to wherever your ball landed. That ambling nostalgia became the basis of the RPGolf’s open-world structure, in which you don’t just warp around the course after each stroke, but walk (or drive if you unlock the golf cart) to your ball. From there, the idea of filling the map with monsters, dungeons, and a host of secret side-quests came easily, turning it into a Zelda-lite action-RPG with a golf club for a sword – it even has its own spin attack, but we don’t recommend trying to replicate the move on a real golf course.